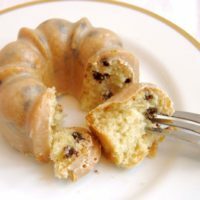 Baileys Irish Cream Bundt Cakes are the perfect tea time treat. 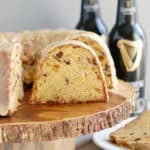 You’ll love chocolate chip cake with Baileys Irish Cream glaze. 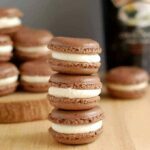 The chocolate chips give just a hint of chocolate flavor but still let the Baileys flavor shine. Since I opened Cake Art Studio 8 years ago I’ve been up to my elbows in cake, often times quite literally. My kids have gotten to the point that they don’t really like layer cakes anymore, but they do love these glazed baby Bundts. 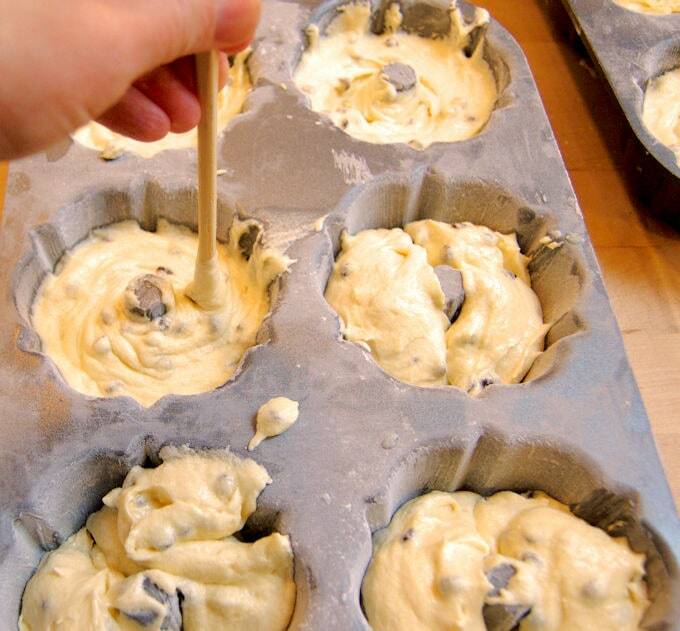 Chocolate chips can be tricky in a cake batter since they tend to sink to the bottom of the pan. First, I always use mini chocolate chips for cake batter. Since they’re lighter they’re less likely to sink. Recipes often tell you to toss the chips in a little flour to help prevent sinking, and that does often work. 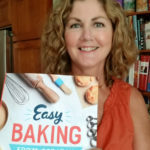 Since I regularly bake larger cakes that stay in the oven for a longer period of time I was having trouble keeping the chips suspended in the batter. I worked on a solution for a long time and finally came up with this trick; I moisten the chips with a little water and then toss them with a pinch of flour and let them sit while I make the batter. 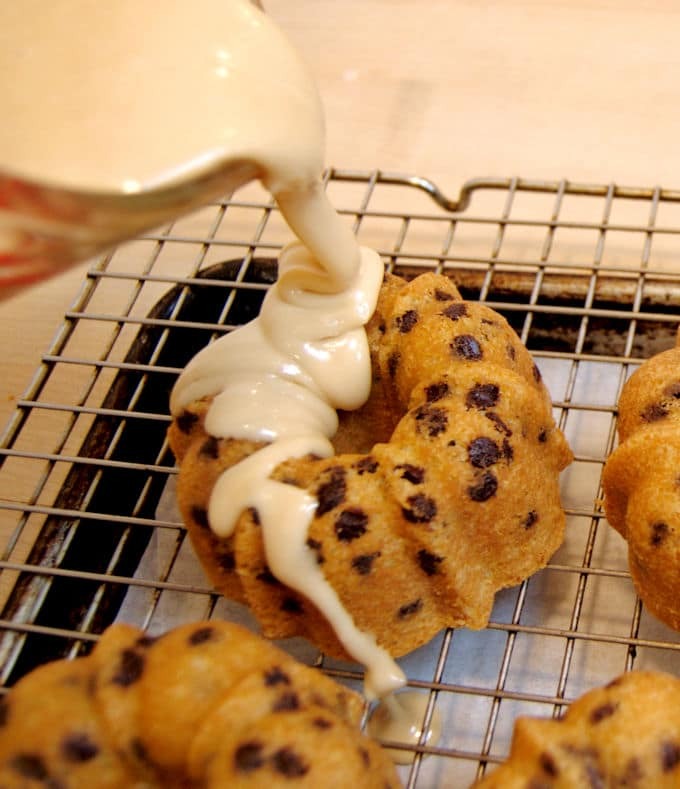 The water and flour form a paste on the chips so they’re sticky when they go into the batter. This helps keep them suspended in the batter as it bakes. The water and flour form a sticky paste to keep the chips from sinking. It’s imperative that you thoroughly butter the intricately shaped pans. 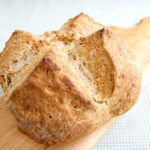 You can use pan spray, but I use melted butter and a light coating of flour. After spooning the batter into the pans I use a chopstick to swirl the batter and even it out. The cakes must be glazed while they’re still warm so the glaze will melt and set to a shiny finish. You should set the cooling rack over a clean sheet pan so you can collect and reuse the glaze as you go. 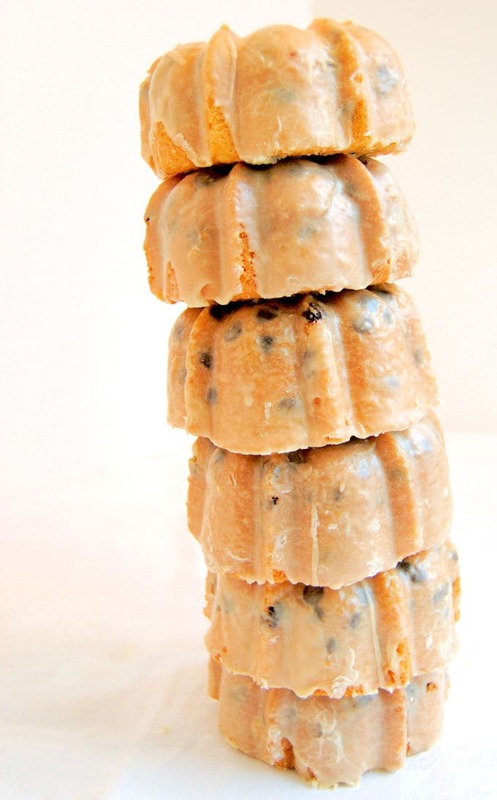 Individual bundt cakes with chocolate chips and a Bailey's Irish Cream glaze. Preheat the oven to 350°F. 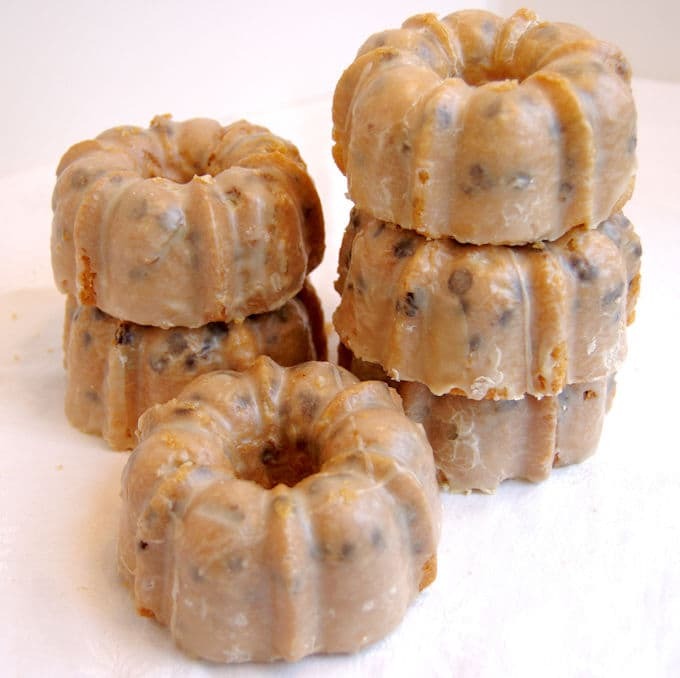 Liberally butter and flour mini bundt pans, or use pan spray. 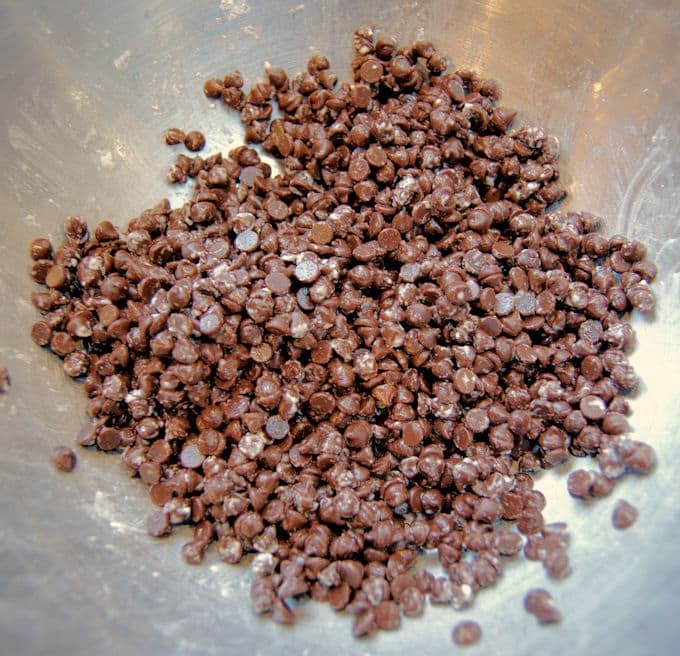 Place the chocolate chips into a small bowl and sprinkle with about 1 tablespoon of water. Sprinkle a heaping teaspoon of flour over the wet chips and toss until they're coated. Set aside. In a small mixing bowl combine the yolk, 1/2 the sour cream and the vanilla, set aside. Measure the 6 oz (3/4 cup) of granulated sugar into a mixing bowl. Sift the flour, salt, baking soda and baking powder into the bowl with the 6 oz sugar. Mix on low speed to combine the ingredients. With the mixer running, add the butter and mix on low for 1 minute, add the reserved sour cream. Increase the speed to medium and mix for 2-3 minutes, stopping 1/2 way through to scrape the bowl. Add the yolk mixture in 2 batches, thoroughly scraping the bowl between additions. Remove the bowl from the mixer and fold in the chocolate chips. In a separate bowl, whisk the whites on medium high until soft peaks begin to form. Reduce the speed to low and sprinkle the remaining granulated sugar. Increase the speed to high and whip to full peak. Fold the whites into the base in 2 batches. Be sure there are no white streaks left unmixed. Portion the batter into the prepared pans. Fill about 2/3 full. Bake until the cakes are golden brown and the surface springs back when lightly touched. The time will vary based on the type of pans. 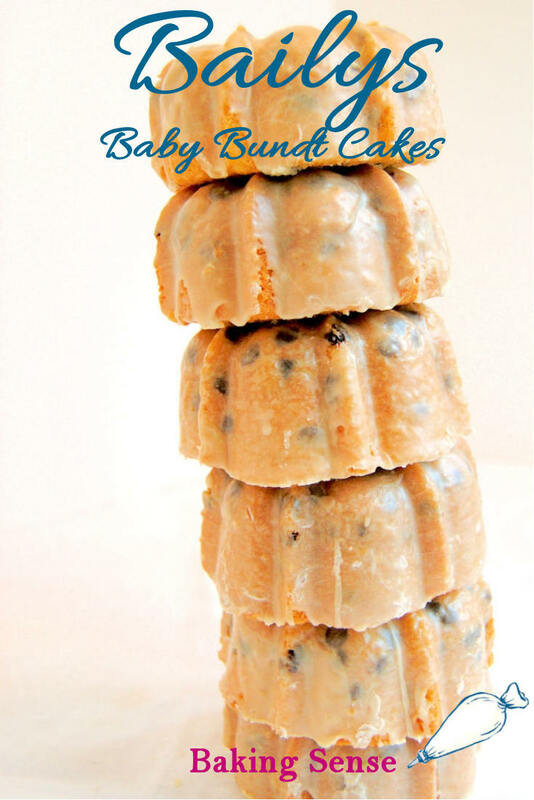 Baby Bundts will be take 10-15 minutes. Allow the cakes to cool in the pans 5 minutes (20 minutes for larger pans). While the cakes are baking put the sugar into a small mixing bowl. 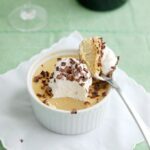 Add the Bailey's all at once and whisk until the glaze is smooth with no lumps. 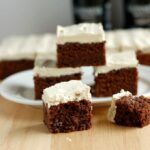 Turn the cakes out onto a cooling rack set over a clean sheet pan. If any of the cakes baked over the center hole of the Bundt pan, poke through so the glaze can drain. Pour or spoon the glaze all over the cakes while they are still slightly warm. Leave the cakes on the rack until they are completely cooled and the glaze is set. 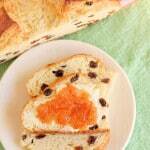 You can make one large Bundt cake from this recipe. The baking and cooling time will change to about 30 minutes in the oven and about 20 minutes to cool in the pan. 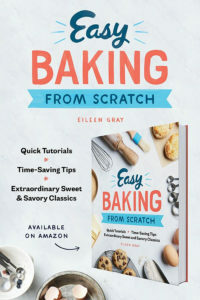 The glaze will be more than enough to cover all the cakes, but it's better to have more than you need so you can flood the cakes with glaze. The extra glaze will keep in a covered bowl in the refrigerator for several weeks. The cakes will keep at room temperature for several days. These look awesome!! I can’t wait to try this recipe. Thank you for sharing! Hi Eileen Gray! 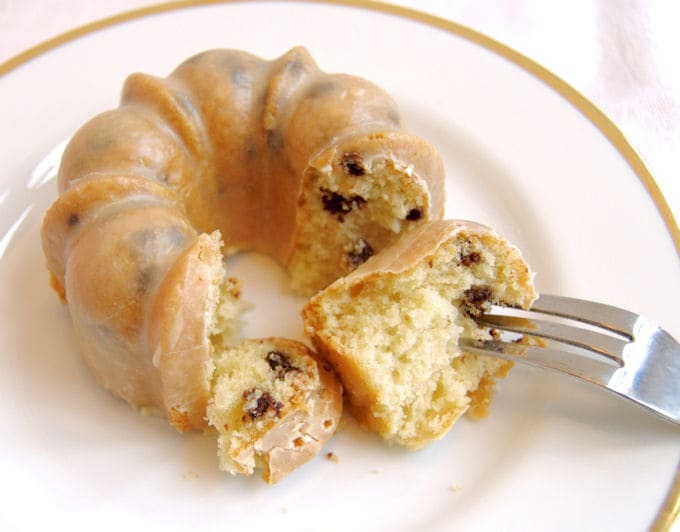 Do you have any recipes for 7up Pound Cakes cooked in a Bundt Pan? No, I’ve never made cake with 7up.